Over a month ago, Motorola took the wraps off of the Moto G6 line, including the G6, G6 Plus, and G6 Play, but we haven't heard anything on the availability side since then. We'd previously expected them to become available in mid-May, but that obviously didn't happen. However, some info has begun to trickle out, and we'll update this post with all the US G6 availability we see. Big Red has probably carried more Motorola phones than any other US carrier in the past, and that trend isn't changing with the Moto G6. 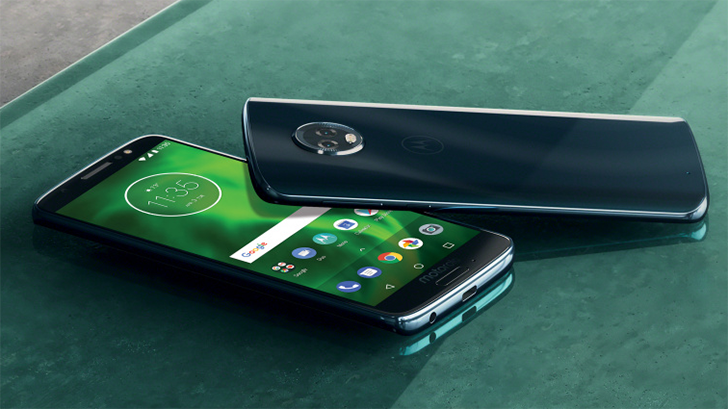 Starting tomorrow, May 24th, the Moto G6 will be available from Verizon for $240 (note: the link won't work until the 24th), or $10/month for 24 months. There's no word on the G6 Play, though. Walmart supposedly had the Verizon G6 Play for $129 (thanks, Joshua), but we can't find it anywhere on Walmart's site. If you want a G6 Play, Boost is the only place in the US you can currently get one. They're only $129.99 a pop, but they can't be easily used on other carriers (including Sprint, even though Boost Mobile runs off of Sprint's towers). The unlocked Moto G6 is up on Motorola's site for $249.99. Black can be added to your cart right now, but Blush isn't yet available. The site says it's still in pre-order phase, though adding the phone to the cart shows that it's in stock and that estimated delivery is June 6th. As we wrote about, the Moto G6 Prime Exclusive is now available on Amazon for $234.99, $15 less than MSRP. It's unclear if this is merely an introductory offer or if Amazon will leave the price at $234.99. But if you can deal with a couple of pre-installed Amazon apps and Alexa, this is a nice little savings opportunity. Plus, same-day shipping is free if you order before a certain time in the day. We'll continue to update this piece with more information as we get it. Fi is offering the Moto G6 for $199, or $8.29/month for 24 months. It's the cheapest phone that Fi currently has, so if you've been looking to join Google's carrier service but haven't wanted to spend too much money, this is a good solution.